The Challenger offers intercontinental range. in addition to a spacious cabin it features hot catering and typically has in flight communications and entertainment facilities. These aircraft also have a large luggage hold which can be accessed during flight. 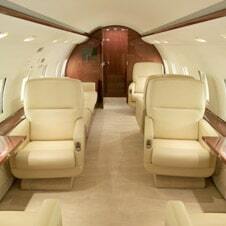 The Challenger 604/605 can fly transatlantic non stop or for up to 8 hrs.